As a grandparent, teaching your grandchild survival skills is just about one of the kindest and most loving things that you can ever do. Not only will it provide the two of you with some quality bonding time, but it will provide your grandchild with the knowledge he or she needs in case they ever find themselves in a dangerous situation. Rule 1: Water always flows downhill, so keep going downhill until you eventually find it. Rule 2: Considering the fact that plants need water to survive, you can usually find water wherever there is greenery. A quick internet search will provide you with an enormous amount of guides and charts on how to identify certain animal tracks. 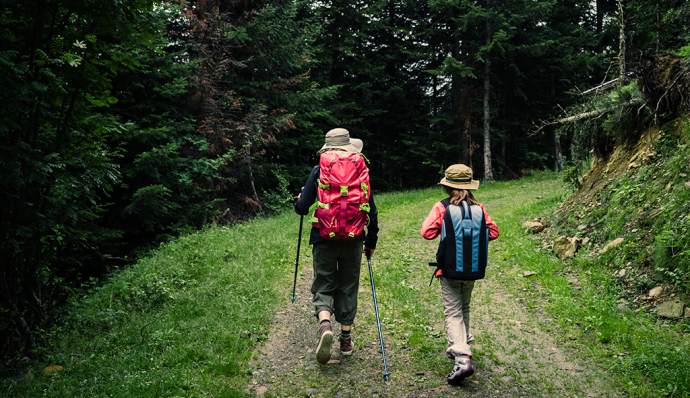 Learning to identify tracks will not only be fun, but it will also provide your grandkid with an incredibly useful skill that he or she can use in a survival situation. A knife is one of the most important tools that a survivalist can have on them, but if it’s not sharp, then it’s pretty much useless. Teach your grandkid that they can sharpen a knife on a rock that they find in running water, but also remind them to be careful – an incorrect angle can have a reverse effect and actually make the blade duller rather than sharper. As noted by AskAPrepper.com, there are also a number of tools that one can use to sharpen a knife other than a rock, including a wet stone and a honing steel. During the daytime, clothing typically provides enough insulation to keep you warm. However, when the sun goes down, it can get quite chilly and uncomfortable. Teach your grandchild that he or she can use grass and leaves for added insulation by simply stuffing your shirts and pants. There are several good reasons why you should teach your grandchild how to read an analog clock rather than just a digital one, and this is definitely one of them. Believe it or not, it’s actually possible to use an analog watch and the sun in order to tell which direction you’re going. As explained by Survivopedia, “Point the hour hand of the watch directly at the sun. Then, find the point which is exactly halfway between the direction the sun is in and 12:00. That is south.” Obviously, once you have figured out which direction is south, all the other directions can be identified. Every grandparent knows how special it is to have grandchildren, and one of the most loving things that you can do for them is to teach good survival skills. Even if they don’t remember them into adulthood, at the very least, you’ll get a fun afternoon to bond and spend time with each other.